Arthur Lopez is one of the leading santos carvers in New Mexico. After the piece is carved, is covered in gesso (a glue made from rabbit hide) which is allowed to dry and then sanded. It is painted with both natural and watercolor pigment. Natural colored pigments, such as the brown, are derived from black walnut hulls. These are the time involved and historic foundations for his work. 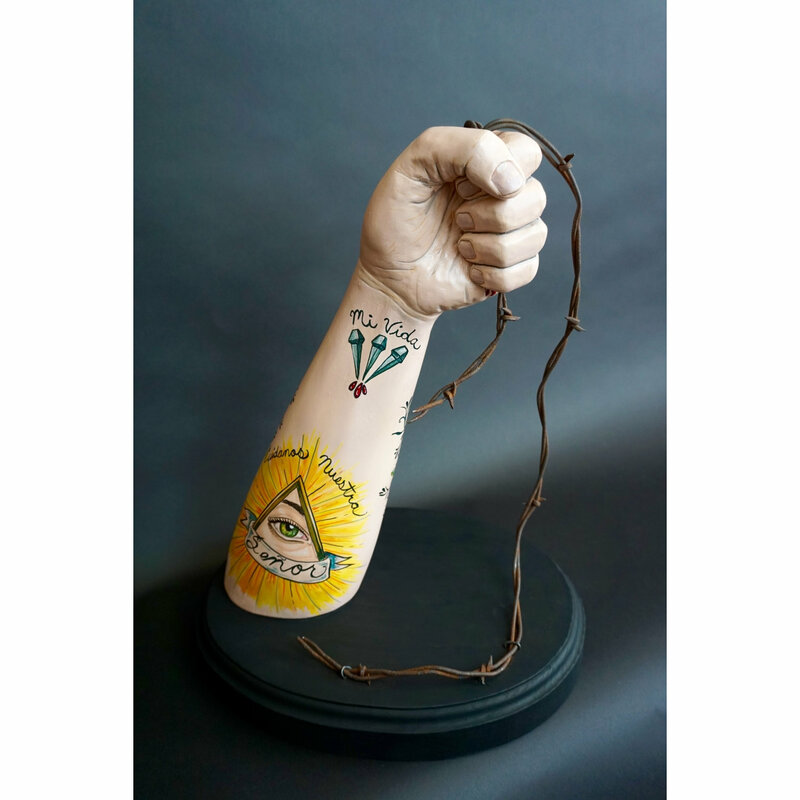 This piece is entitled, “La Asuncion de Maria”. It is two separate pieces, both carved from wood. One is a hand and the other a balloon. 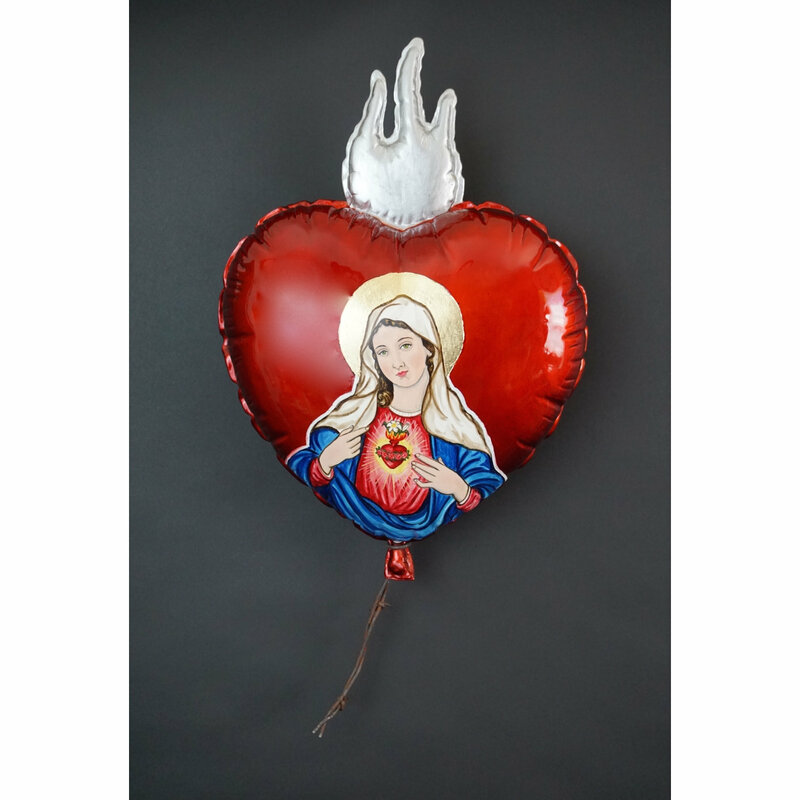 The balloon is in the style of the Sacred Heart with Mary painted on the front. 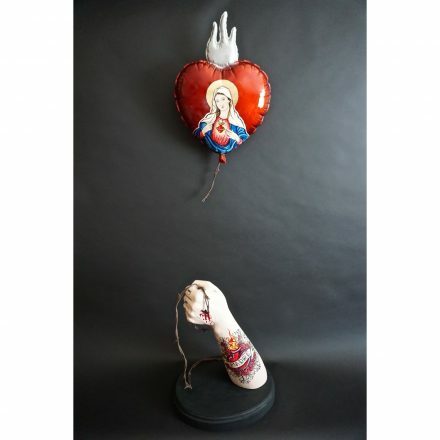 The floating of the “balloon” is the ascension. 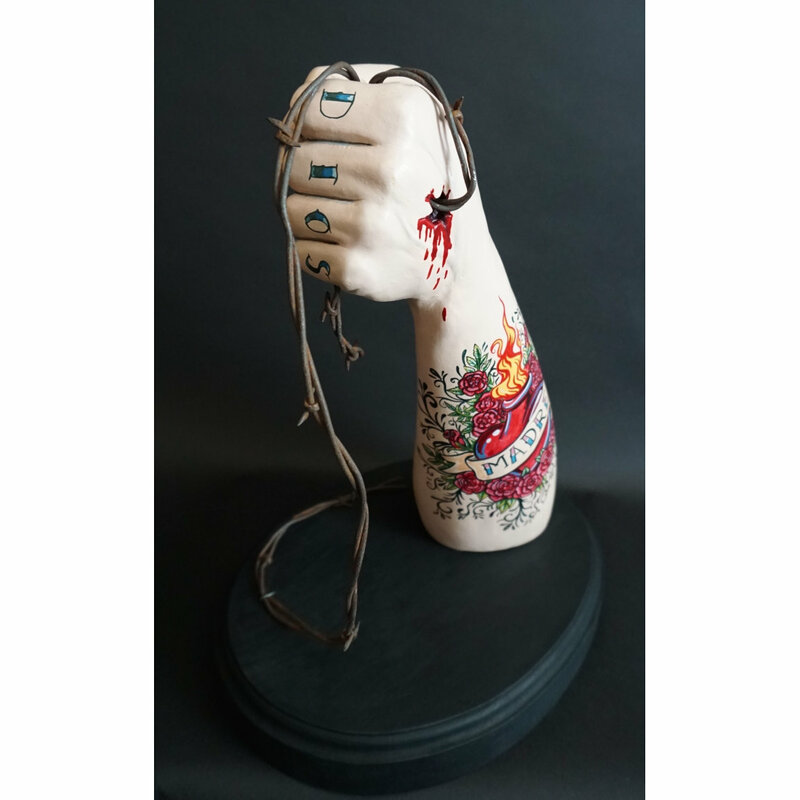 The hand has painted tattoos on the fingers and forearm.